At Raven, we value quality in everything that we do, constantly looking to improve ourselves and our organization. 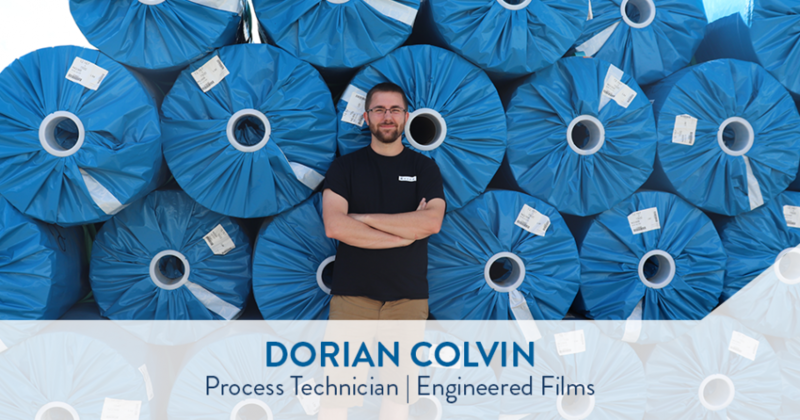 Dorian Colvin, Process Technician at Raven Engineered Films, demonstrated his commitment to quality and continuous improvement through his dedicated work, recognizing a need for and implementing new LED Lighting at Raven Engineered Films' Sioux Falls location to reduce safety issues and improve operations. The printer area on Raven Engineered Films' Production Line 7 was always dimly lit because of the placement of the florescent lights. This created tripping hazards and other safety concerns while making it difficult to see how well the printer was operating. Recognizing this need, Dorian had noticed that some LED lighting that was installed on a different production line could work for Line 7 as well. He put in an order for the correctly-sized part, fabricated the bracket, and installed it. Dorian went above-and-beyond in recognizing this unique need and implementing a plan to fulfill it. As Production Supervisor Lee French remarked, "It turned out really nice, great job!" Thank you, Dorian, for your dedication to Quality and improving our operations!